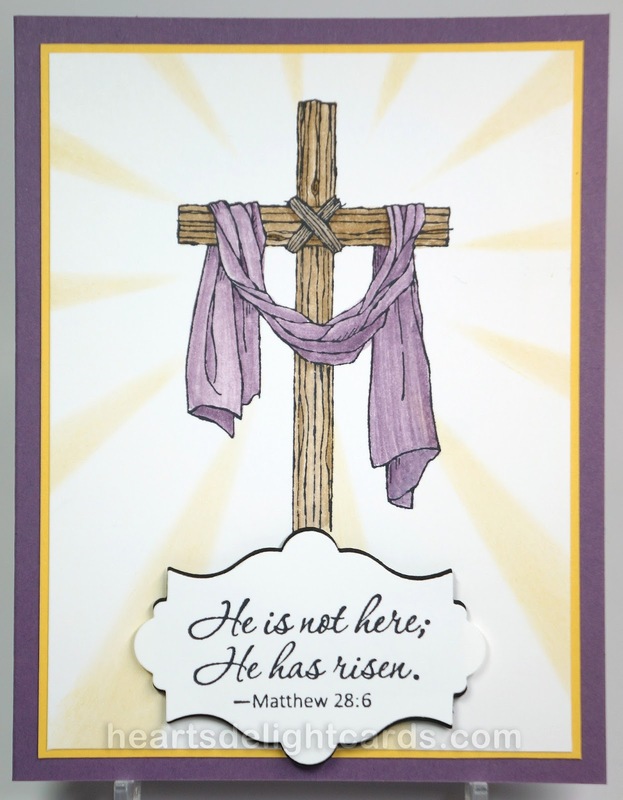 Easter is four and a half weeks away, so it's time to start thinking about Easter cards. I don't usually send cards for Easter, but this year I think I will. 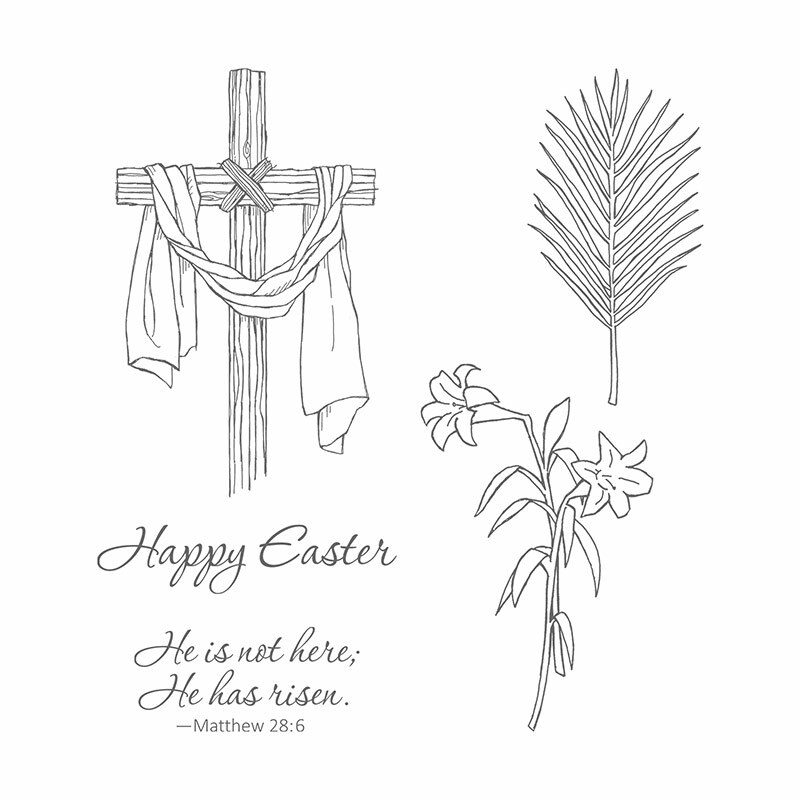 The images in the stamp set Easter Message are so simple, yet powerful, and are easy to color if you choose, or just leave as is. I used the Sunburst Thinlits die as a mask, centering it on the cardstock and sponging So Saffron lightly in the gaps. 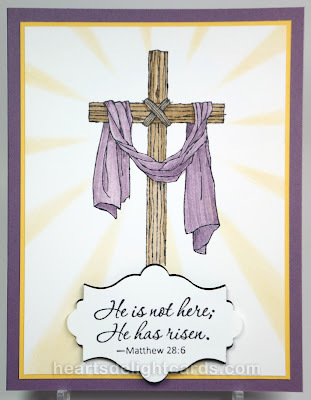 The cross was stamped in Basic Black and colored with blender pens and Soft Suede. The rope is Crumb Cake and the drape is Perfect Plum. I thought the message needed a fancy label, so I used the retired Apothecary Accents Framelits, popped up on dimensionals. 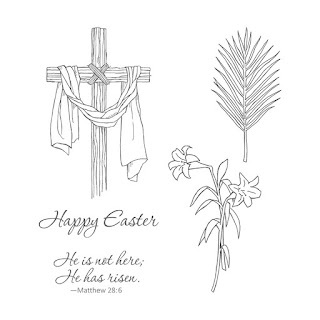 The message inside says "May peace be your gift this Easter", and is from the Suite Sentiments stamp set. Image: Whisper White 3-3/4" x 5"
Mat: Daffodil Delight 3-7/8" x 5-1/8"
Card base: Perfect Plum 5-1/2" x 8-1/2" score & folded at 4-1/4"